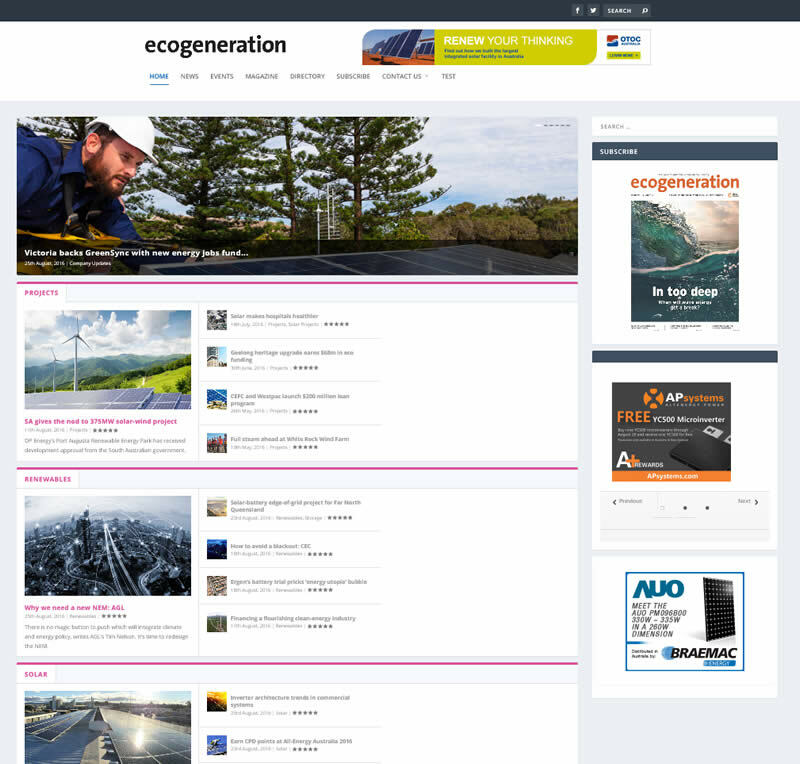 EcoGeneration have a new website developed by Net Maintain. EcoGeneration is a bi-monthly magazine that contains the latest in clean energy news, technology and policy developments, as well as celebrating the milestones achieved by the industry as a whole. This project involved migrating a massive amount of data from an old obsolete content management system. Due to the value of entries collected over many years it was imperative to retain the records in the old database. A number of data integrity and cleaning techniques were used in the migration process. Nearly all material was successfully reproduced and included in a new mobile responsive website. The new website also needed to be easily managed by staff of the client so that daily edits could be made. The EcoGeneration website can be visited here. New website constructed as part of ownership change. Data imported from previous website to be cleaned and checked for integrity before inclusion in new site.